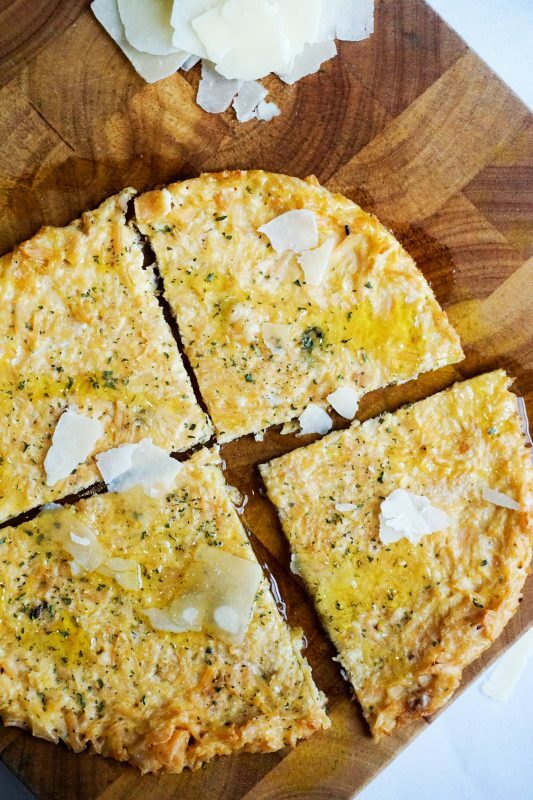 We've turned dreams into reality with this amazing No Carb Pizza Crust recipe! It's truly exceptional in every way. All you need is 3 ingredients, about 15 minutes, and a bunch of delicious toppings of your choice. We know you hate reading, so we put together a quick keto pizza crust recipe video here to show you exactly how to make this! Spread chicken on a baking sheet lined with a silicon mat. Bake at 350 for 10 minutes to dry out the chicken. Remove crust from oven. Add desired toppings and bake for another 6-10 minutes at 500 degrees. Toppings will dictate final cook time. 0 Response to "The Original Zero Carb Pizza Crust"